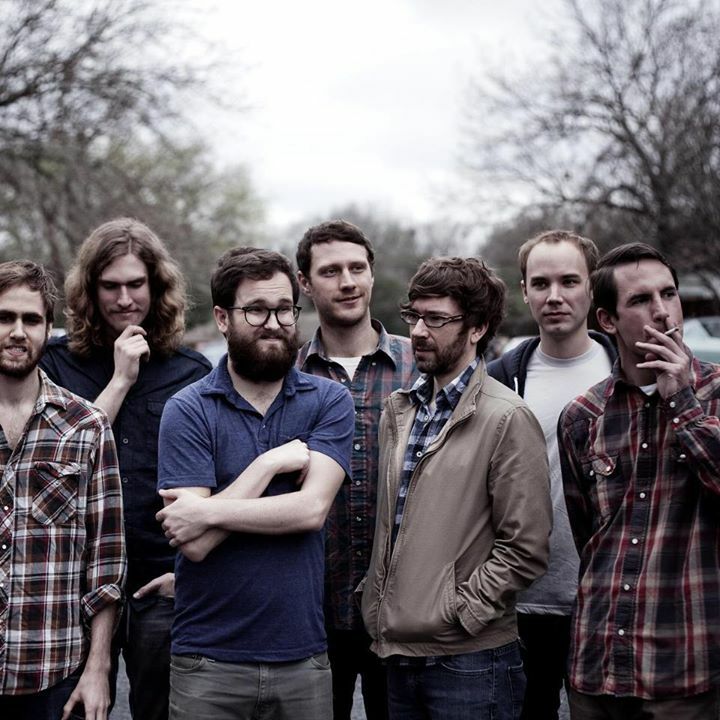 So, last year, after buying a membership to Daytrotter, I haphazardly ran into this band, The Eastern Sea. I clicked on their session and after a couple of tracks, ‘The Match’ grabbed my entangled heartstrings and left them like a boondoggle. ‘The Snow’ finished the trick and I was one of the converted. I reviewed their album Plague (review) and managed to get lead singer Matt Hines to agree to an email interview. 1- You’ve had a healthy rotation of musicians in your band. Have you ever felt this made the sound of the bound so rich, with everyone bringing their own influences? I like working with different musicians because it keeps the old music interesting and it helps propel the new music forward in a way I couldn’t achieve on my own in my house with a computer. I write most of the music on my own, but the arrangements are completely bound by the band’s preferences and tastes. We’re working a ton of new music now that wouldn’t exist if not for the unique collection of guys I’m playing with currently. 2- It seems that a Daytrotter session is now a coveted badge of honour in cool bands. What were your experiences during the recording? We were lucky enough to perform for Daytrotter in our home town of Austin,TX. It was an incredible experience for us actually because we were performing with a really cool setup of musicians, including two drummers. The tracking was done over about an hour at Good Danny’s in Austin and engineered by a good friend Grant Johnson who does some great work with Daytrotter as well as his own projects with other musicians. Danny Reisch, who owns the studio, helped us immensely in that session and it eventually wound up beginning a cool creative relationship between him and the band. We’re pursuing the possibility of tracking our next full length with him at a few studios in town. The Jesus saves line is probably the most divisive lyric I ever wrote and it continues to turn people’s heads to this day. A lot of people assume we have Christian rock roots because of that lyric actually. We get asked about it all the time. Usually in talking about that line, I cite my history as a Catholic and specifically a student of Catholic theology when I was at St. Edward’s University. That song and a lot of the songs on the first album are about redemption and the feeling of panic when you realize that you’ve got a lot riding on the potential of redemption. That song in particular is about a girl named Caitlin, someone who meant a lot to me in college and eventually became my significant other over the course of years. When I first met her, she was dealing with a really hard break up and really had a hard time separating what was in her control and what was in the control of the powers that be (drugs, doctors, the cosmos, friends, school). Strangely enough, she’s coached me through some of the same struggles over the last few years. So these things usually come full circle. 4- Regarding the video for ‘The Snow’, did you just crash that party and prayed you wouldn’t get chased away? Ha! No that was a party I was at previous to actually shooting the video. But it was a real party and we didn’t tell anyone that we were going to shoot that video. We just did it. That must have been over 5 years ago now. Whoa. Time flies. There are a few awesome little Easter eggs in that video including our old drummer Zach Duran making out in the hall with his future wife and Chris Ulsh from Mammoth Grinder being creepy in the door way. Very memorable night. And I had to sing the song at three different speeds. Wild. 5- ‘The match’ seems to have taken everyone and everywhere by storm. Were you surprised by the very warm reception to the track? No, I’m honestly not surprised that ‘The Match’ is the song people really enjoy off of Plague. I’ve actually always thought that ‘The Match’ was one of the strongest songs I ever wrote. It’s got a lot of emotional weight and the pacing is full of tension. People tend to gravitate towards that. It feels big and important. I also feel like that is one song where I maximized the content of the lyrics without overshooting the meaning or the feeling. I don’t think it was over sold which I have a horrible tendency to do if I’m not careful. But it is crazy how a song that starts so slow and picks up so late in the game has captured the attention of so many people. Thanks for having patience world! I first wrote that song as a Peter Gabriel rip off and I’m not sure how it turned out the way it did. We’ve been playing that song since 2008. Crazy, right!? 6- On that note, what is the story behind the track? I’m assuming it’s about routines in relationships, but I do overanalyse stuff. It definitely is about routine in relationships. Routines that end up being really manic. I was dating this girl who had a magnetic personality and she would have these parties and I would eventually just get miserable being there. After a while I started to see our relationship kinda falling apart in that house in those moments, and it wasn’t sad or dramatic…just routine. I think the key in that song is one of the final lyrics: “does it hurt you like it’s hurting me/ to know the things in life you can do without are climbing up your family tree?” I feel like I got lucky in describing the moment you watch someone place all of these other things above your relationship with them. Then it falls apart and it’s really unsurprising. Ha. The whole thing is set in this suburban neighbourhood in northeast Austin. Very surreal. Watch the Arcade Fire movie Spike Jonze did. Same feeling. 7- A lot of the tracks from your albums feel like short stories. Is there a particular author or genre that influenced your lyrical work? Yes. Actually. Great question. Like I said, in college I did Religious Studies for a major but I also did English Writing and Rhetoric for a second major and spent a lot time writing short fiction and poetry. People like Wells Tower, Ursula K. Le Guin, C.S. Lewis (of course), etc. A ton of people influenced my writing then but right before I did Plague I fell in love with one author in particular: Roberto Bolaño. His style was pretty influential in my tone and setting. 8- With two very solid albums, why did you choose to do a Christmas album in 2012? Did any particular memory of Christmas inspire the original songs you wrote? Christmas music is a huge part of why I started performing music in the first place. As a kid those are my first experiences with music. Singing carols at church and stuff like that. I have a ton of early memories of Christmas songs that meant a lot to my family and for that reason I wanted to make something for them that would honour our collective memories of that music. But also, I just wanted to have fun because both of our other albums are very somber and serious, and after that I wanted to make something fun and light-hearted. That was important for me. And I think we achieved that. The Christmas album was a blast to make and we did it in 10 days in July so it all just felt very sincere, not cynical like most Christmas records produced to make a quick buck. We wanted to make something our friends and family and fans would enjoy. That’s it! 9- We heard you played a few new songs on your recent tour. Any news on recording a new album? Or was this more like roadtesting them? Yeah, we spent a month road testing about 5 new songs, some of which will be on our next full length. It was a really humbling experience to play such a crazy new set after playing a lot our old material for SOOOOO long. The new album is going to be called The Witness and should be recorded by early next year. The only question is how we’re gonna put it out. We’re all gonna have to wait to get answers on that. 10 – Heard something about Plague getting a vinyl release. Any news on this? Yes. We’re formally announcing really soon, but it will be an awesome collaboration with a label from Indianapolis called Dilated Time. So pumped! It’s going to be on marble gray vinyl and sound better than it’s ever sounded. Been waiting for this for a long time now. Yes, that was actually Andrew WK that I opened the door for at Guitar Center. That was a funny day. I was super stressed about leaving for tour and that really made my day that he responded to me on twitter and followed us. I’ve met him a few times and covered his songs in the past. I’m a huge fan and it was a strange honor to hold the door open for him on accident. 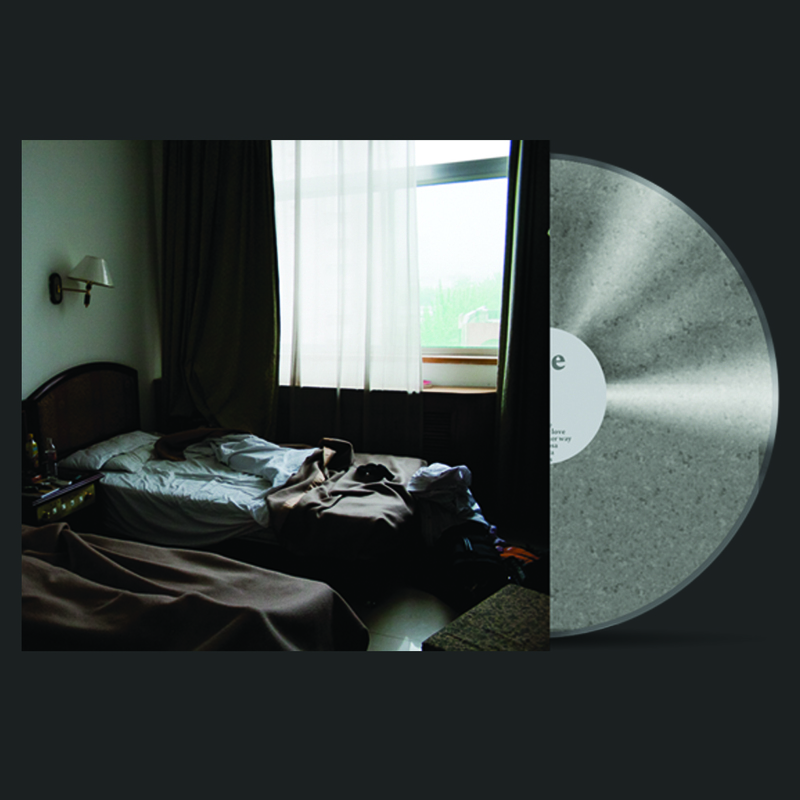 You can now order the marble gray vinyl copy of The Eastern Sea’s Plague from Dilated Times. Check out a session with The Eastern Sea at Wild Honey Pie. The Eastern Sea Website. Twitter. Facebook. Last.fm. Soundcloud. Posted in Interview, InterviewsTagged Austin, Christmas albums, Daytrotter, Interview, Plague, The Eastern Sea, Wild honey pieBookmark the permalink.